Business owners, celebrities, individuals (even presidents i.e. President Goodluck Jonathan) are shifting gears--from having a personal website to owning a private account on a social networking site. When I asked a friend what she thought about twitter, her expression clearly stated that she saw twitter to be a deluxe edition of facebook where people exhibit tomfoolery. Truth is...there's more to this site than most people think of it. Besides the fact that you get to poke your nose in the affairs of your favourite celebrity, Twitter is a good way to sell your business and what you stand for. The benefits of being an active member are astounding; start using twitter in a way that it benefits you. Twitter (like any other social networking site) is what you make of it. 1. Follow people and businesses in industries that interest you. Try the Twitter search tool and look-up keywords. 2. Participate in Twitter chats. The benefits of a Twitter chat or a “hash tag event” are endless and amazing. There are so many great ones on there. These chats are a great way to interact with, meet and connect with professionals in the industry you’re interested in. If you run across a cool article that you think the people who follow you will enjoy—share it with them! A lot of websites have a cool tool where all you have to do is click “share on Twitter.” It isn’t hard– promise! It is also a good idea to retweet things that your followers Tweet because they are great resources and you can learn a lot and help others learn a lot, too! 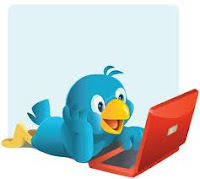 So, you’re retweeting, you are following cool people and following along in Twitter chats. But it isn’t going to mean anything if you aren’t interacting! Stay in touch with people you meet, reply to people when they post things from their blogs or other sites and always be courteous. You are clearly dumb cos you don't seem to see how it can help you advance your business. It's a means of marketing what you stand for. If you need tips on how to succeed in the real world,read the post again and replace "twitter" with "real world". Kudos to you guys for a wonderful article.